To make cakes quick and fast it is convenient to prepare the ingredients readymade and keep. This recipe is about how to make the cake flour. If you make all the key ingredients readymade cake making will look like an easy task. 2. Then remove 2 tbsp of flour from it. 3. Now add 2 tbsp of corn starch to the flour. 4. Sift both the flour together about 3-4 times. Store it in a air tight container for later use or use it immediately. 1. 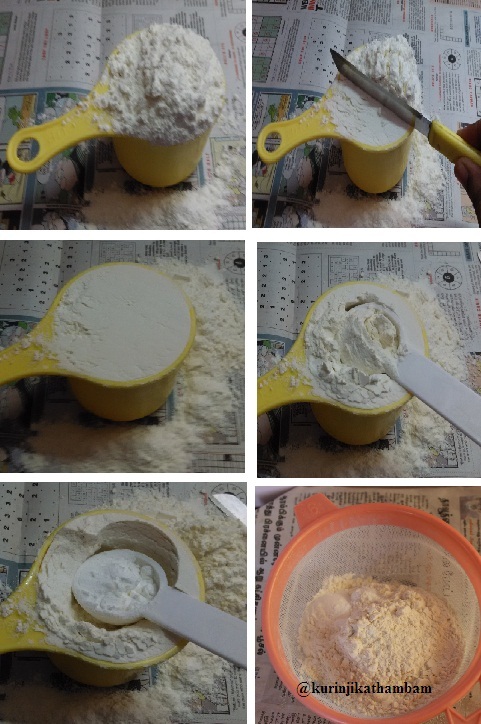 Corn starch is used to give a very soft and fluffy effect to the cake. 2. You can add custard powder instead of corn starch. 3. 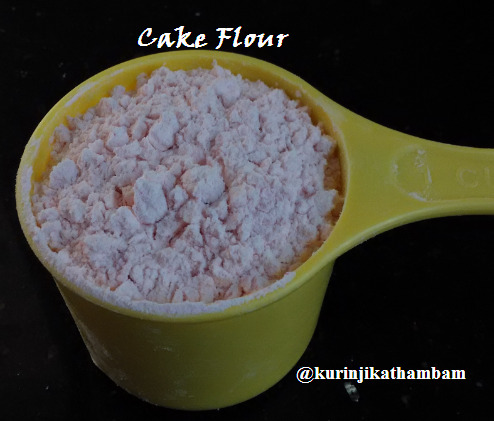 If you want more cake flour, you can increase the ingredients proportionally. 2 cups cake flour = 2 cups flour minus tbsp and add 4 tbsp of corn starch. 2 cups cake flour = (2 cups flour – 4 tbsp) + 4 tbsp of corn starch.